A Youth and Students Activist Duku Jallah has declared his intention to contest the upcoming elections in the Liberia National Students Union (LINSU). 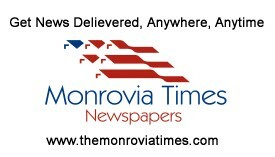 Duku Jallah told The Monrovia Times that LINSU has either been dormant or been used by outside forces for the all the wrong reasons for the past years which he wants to correct. “I have seen enough to know that Liberia is facing an Educational crisis, and LINSU should be a force that would push the government in that direction of facing the excesses in our education,” said Jallah. He said if elected as President of the Liberia National Students Union (LINSU) he will negotiate better education laws to help improve the students’ community. The Youth and Students Activist said it has been saddening that over the years LINSU has not engaged in advocacies for the betterment of students across the country. Duku Jallah added that he will ensure an increase in the national education expenditure, strengthen LINSU’s chapters, restore its credibility and unite the students. According to him, LINSU’s dormancy over the years has contributed to the “messy education system” that has faced Liberia. “My interest in this process is to re-energize LINSU, resurrect the lost spirit and reclaim its lost authenticity and credibility” added the Youth Advocate. He said LINSU needs to play a proactive role in the improvement of education in Liberia instead of been used by politicians for selfish gains. The longtime students advocate said LINSU can help improve the conditions of teachers and students with projects it puts together. He said LINSU should be a platform between academic and success of students. Duku Jallah is meanwhile calling on voters in the LINSU elections to vote for the integrity and credibility of the National Students Union.